New from Prescott's, Inc. A truly unique microscope for the Dental field, and an affordable way to bring your practice into the forefront of microscopy technology. 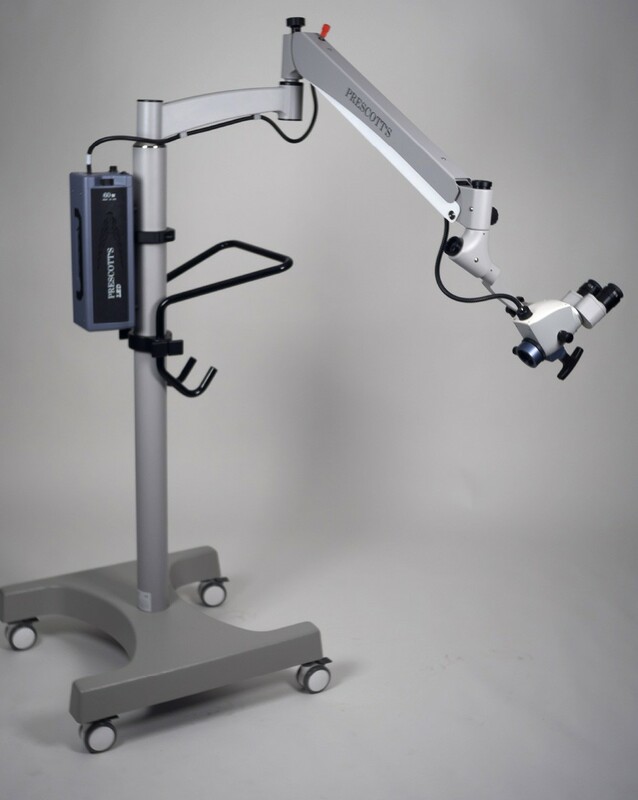 We are proud to add to our product portfolio a truly unique microscope for the Dental field. 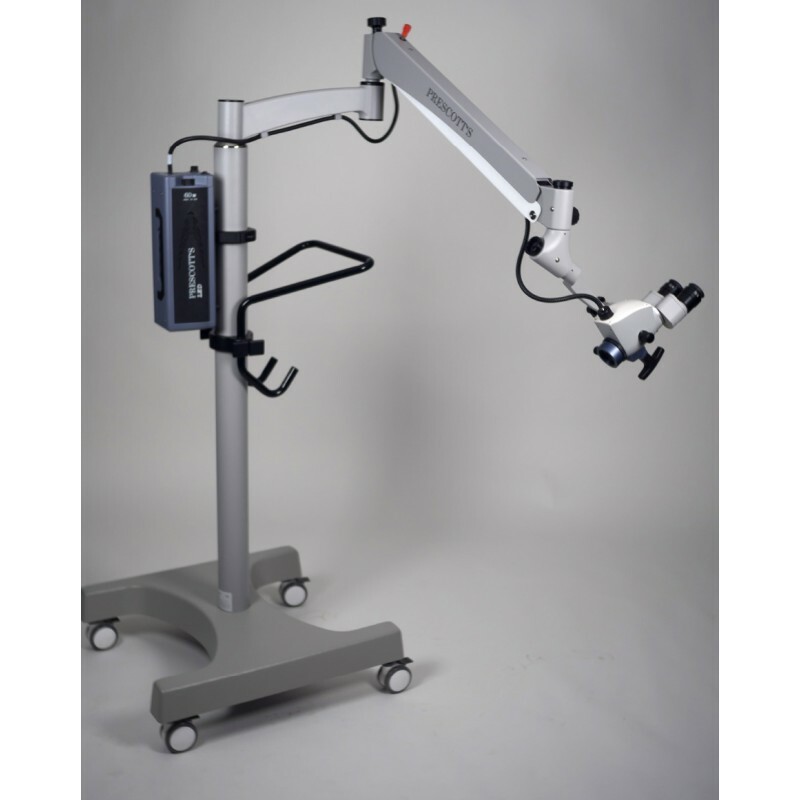 The OMNI Plus on OSM200 suspension system with integrated 4K wireless video is an affordable way to bring your practice into the forefront of microscopy technology. Apochromatic optics with fine focus objective lens and 5-step magnification, f170 binocular tube with magnetic eyepieces, compact design, high quality 60W LED light source, robust suspension system and 4K video controlled from the microscope, wireless remote, or phone/tablet are all reasons to bring this microscope into your office or operating theatre.